You will find a lot of salons and spas around you these days and the number is ever increasing. But the increasing number makes it almost impossible for the people to choose the salon which will be perfect for them. Now if you are thinking of starting a business or already own a salon or spa it’s high time for you to improve your rating so that you could have an upper hand in the business. 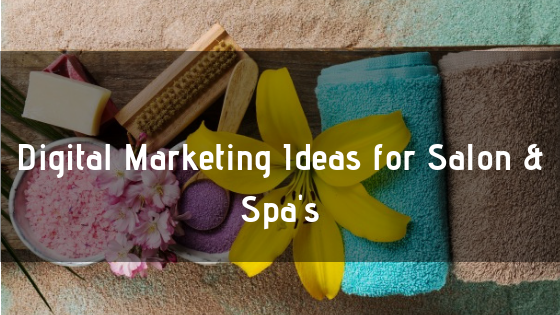 For your help, here we are going to present some marketing ideas which will help your salon & spa to get a boost. Increase In Reviews: The customers who are willing to be your customer always like to hear the experiences of the previous ones first. How your current customers describe their experiences with your salon and spa is a big factor. So, maintain the online reputation of your business is very important. When customers look for a new salon, this becomes a determining factor. While looking for a saloon, finding a good stylist is very intimidating but more than that the thing which will bring you more customers is the positive feedback. Usually, the businesses which have a high review rating are clicked by the customers. So, try to improve your ratings. Request the happy clients for leaving a feedback. Whenever they will give a feedback, your search market will get more power as they will be adding keywords to the review. Play The Perfect Social Game: You could post photos of your recent works on Facebook and Instagram. It will showcase the talent of your team and will increase the interest among potential customers. Try to post high-quality content on daily or weekly basis so that the people will also know when is it coming. Some photo ideas for your salon are given below. Photo related to interior decoration of your salon or spa. Client images before and after using services. Photos of technicians, stylists, etc. Consistency in Brand: While creating a brand, the most important thing is consistency and you need to maintain that too in case of your salon and spa. There must be complete consistency in business name, tagline, and logo. You need to form several strategies for representing your business in front of the clients from the time they check it out online till they reach your doorsteps. There are some more ideas like allowing your clients online appointment booking, services and price listing on the website, social media advertising, etc. I hope that this information will give you a great idea on how to improve your salon and spa business. Try these and enjoy the increase in customers. Running A Salon & Spa Business? Want us to create your Digital Marketing Strategy ? Wait no more connect with us on info@valuedigital.co.in & grow your business.